BRICE, MADAME DE, teacher at Port-Royal (Annapolis Royal, N.S. ); she arrived in Acadia in 1644 and returned to France probably in 1652. In 1640 Cardinal Richelieu had made over to the Capuchins his share in the Compagnie de Razilly, in order to establish a “seminary” (school) in Acadia for the Indians. Two houses were built with this object: one adjoining the Capuchin monastery, for the boys, and the other for the girls. 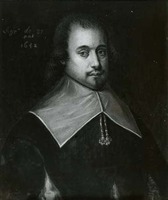 Father Pacifique de Provins, the prefect of missions, secured a gift of 1,500 livres from Anne of Austria in 1644, and persuaded a widow from Auxerre, Mme de Brice, to go to Acadia and devote herself to the education of the young Indian girls. She arrived at Port-Royal in the summer of 1644 and took charge of the girls’ school. She managed to bring together some 30 pupils, and at the same time occupied the position of tutor to Governor Menou d’Aulnay’s children. All her contemporaries acknowledged her worth, and the governor, in his will, paid tribute to her devotion. Two of her sons who were Capuchins, fathers Léonard and Pascal d’Auxerre, had come to join her. After the governor’s death in 1650, she was much harassed by Emmanuel Le Borgne, one of d’Aulnay’s creditors. The schools were closed and Mme de Brice was imprisoned for five months. She probably succeeded in returning to France, and another of her sons, Brice de Sainte-Croix, the intendant of Mme d’Aulnay [see Motin], negotiated a partnership with the Duc de Vendôme in Mme d’Aulnay’s name. One article of this agreement provided for the reinstatement of Mme de Brice as the directress of her school. But Le Borgne’s irksome interference prevented her return, and this promising endeavour came to nothing. Candide de Nant, Pages glorieuses, reproduces most of the original documents. René Baudry, “BRICE, MADAME DE,” in Dictionary of Canadian Biography, vol. 1, University of Toronto/Université Laval, 2003–, accessed April 19, 2019, http://www.biographi.ca/en/bio/brice_madame_de_1E.html.